The country is at an economic turning point. Wednesday was the most significant domestic political event of most of our lives. It was the full announcement of a Comprehensive Spending Review (CSR). Unfortunately the CSR is final proof what many of us predicted before the election. That the Conservative party has a profoundly wrong-headed economic strategy. Sadly, Liberal Democrats whose pre-election analysis of the economy was more encouraging have either sold out or changed their minds. This poses a question of what the right approach to solving the problems of unemployment, deficit and recession. 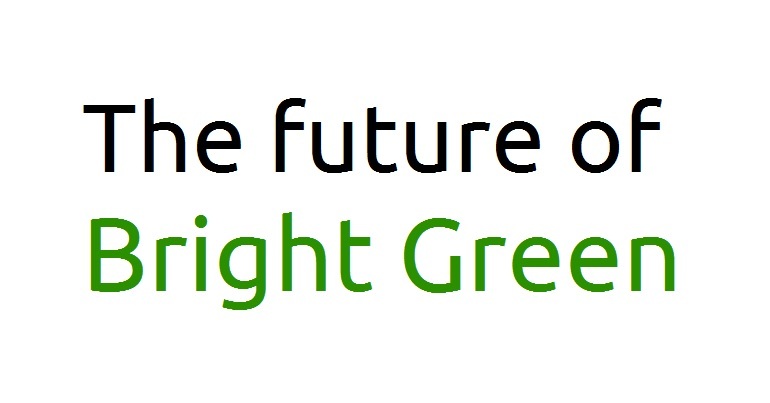 For Greens there are two aims in managing the economy. The first is to tackle the most pressing issue facing the world today – climate change and the broader environmental crisis. And the second is to reduce poverty and inequality while doing this. The CSR will do neither, and it is pretty obvious that it will exacerbate both the problems of climate change and the blight of poverty. Some in the environmental movement have praised the government for cutting public spending. This is because they believe cuts in spending, particularly debt-funded spending are a way to cut carbon emissions. The link between economic growth and growing carbon emissions is very clear. But that does not mean that the best way to cut carbon emissions is to cut the level of spending. Underpinning the CSR is an assumption (and as Larry Elliott points out it’s a very big assumption) that private sector growth will compensate for cuts in public sector expenditure. While many doubt that the growth in the private sector will fill the gap left by public spending, there almost certainly will be some growth in the private sector. This is a problem for the Green criteria of dealing with carbon emissions and preventing poverty. It’s a problem because that private sector growth will have two components. The first will be that growth will very likely come in exactly the areas of consumption that generate growth in carbon emissions. The second is that the jobs are likely to be of lower quality, at lower wage level and with less protection for employees. Not to mention very substantially worse pension provision. It means replacing University Lecturers with shop assistants, teachers with call centre workers and care workers with shelf stackers. It replaces investment in the future with short term consumption based growth. This is why George Osborne is considering pumping more money into the economy while slashing valuable public services. It’s why the Bank of England’s Deputy Governor is telling people to borrow more to spend more (exactly the approach that led to much of the problem). This means that the government’s cuts agenda – if it is at all successful will increase both inequality and carbon emissions. It exacerbates a position where the private sector is unwilling to invest in the low carbon infrastructure that we need, and prevents government from doing so in this crucial period for preventing climate change. The Coalition have fundamentally mistaken cutting public spending for cutting the deficit. The evidence from countries that have taken an austerity approach is not encouraging. Ireland has failed to emerge from its recession despite ferocious austerity. Protestors drove a Toxic Bank cement mixer into the gates of Parliament in Dublin in protest. Japan has had a ten year slump due to misplaced austerity programmes similar to Osborne’s. In both cases cutting public spending has caused an increase in the deficit. This is because as demand decreases, so does employment, which increases the welfare bills and decreases income from taxes at the same time. The reason the coalition has chosen this path is that their answer to every question is to cut public spending. It is based on ideology not evidence. There is, though, an alternative. Much of this has been articulated by economists like former member of the Bank of England’s Monetary Policy Committee David Blanchflower and former Clinton advisor and Nobel Laureate Joseph Stiglitz. The alternative is based on ‘stimulus’. This is an approach that compensates for the low levels of spending by individuals and the private sector with state spending. It creates demand in the economy at a time when demand is essential to keep people in work and prevent spiralling inequality. It achieves the second of the Green outcomes. It reduces inequality. It’s the approach followed by the 1945 Labour government. Instead of cutting public expenditure to pay the debt incurred in the Second World War, they increased debt to pay for a National Health Service, for a welfare system and for massive infrastructure investment in schools and hospitals. It is interesting to note that the approach of the 1945 government produced a period of 25 years of relative economic stability. The response of a Liberal-Conservative coalition to the debt incurred by the First World War was profoundly different. It slashed public spending in a process known as the ‘Geddes Axe’. This produced a period of 20 years of sluggish economic performance, including the Great Depression, increasing poverty and inequality. Crucially new investment should be in infrastructure not consumption. Broadly speaking this means more spending on things that give medium to long term savings, rather than things that give short term benefits. Some of the best examples of infrastructure investment are in energy efficiency. There is, though, an approach that meets both of the Green outcomes. 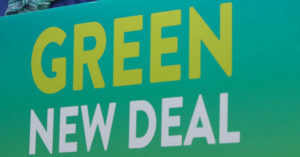 It has been best articulated by the New Economics Foundation in their work on the “Green New Deal”. This suggests that rather than traditional stimulus, the focus of this investment is on green infrastructure. It takes a principle of sustainable development called decoupling and turns it into an economic strategy. Decoupling occurs where economic growth occurs in sectors that either have no carbon impact, or in areas that reduce carbon emissions. This decoupling allows for a fundamental restructuring of the economy around low and zero carbon activities. A Green New Deal would mean that the government should borrow more money. And it should use this money to invest in a massive programme of insulation and energy efficiency, decarbonising the economy through huge expansion in renewables, strategic investment in public transport and support for low carbon technology. It would increase quality of life and tackle unemployment and climate change at once. This will both create demand in the economy by increasing manufacturing, and will ensure that any money borrowed is used to both decrease inequality and reduce carbon emissions. There are tens of thousands of jobs in energy efficiency and insulation. These could make a serious dent in unemployment. The investment in renewables would undoubtedly create high quality jobs and a focus on innovation that will further reduce carbon emissions. And higher spending on public transport will mean better cities and more connected communities. Of course it will need to be accompanied by increased powers for communities, and a re-localised economy as practiced by the Transition Movement. While the temptation exists to cheer on cuts as part of a long needed check on speculative capitalism, it must be resisted. The coalition’s plans if successful will result in a boom in unsustainable consumption with a focus on low quality jobs. If unsuccessful it will still increase carbon emissions while vastly increasing poverty. These are not outcomes that any Green could or should countenance. The repercussions for both the climate and for social justice are simply too great. 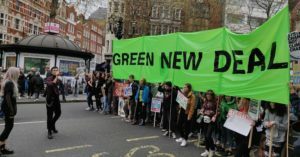 A green new deal approach can promote both a more sustainable and a more socially just future. And that’s surely what all Greens want. It’s a better society. A society capable of dramatically reducing its dependence on fossil fuels, a society capable of dramatically reducing carbon emissions and a society that radically promotes equality. Actually I think the spending cuts may be intended to build up to £83 billion every year, not £80 billion total in 4 years. So cancelling £16 billion in tax cuts would only prevent about one-fifth of the spending cuts, not four-fifths. Larry Elliott says the spending cuts will take £80bn out of the economy in 4 years. But £68bn will be taken out of tax revenue by the regressive increase in the personal tax allowance. (www.fabians.org.uk/publications/publications-news/tax-fairness). Stop this tax cut and £64bn of the spending cuts could also be stopped. The tax cut is £1bn per year on low incomes and £16bn on middle and high incomes. People on low incomes could be given £1bn as increases in benefits or cuts in benefit withdrawal instead. There are other reasons for these differences. As had been predicted by Kondratieff, there was a long K-wave downturn between the wars, and a longwave upturn after the Hitler war. (ammpol.wordpress.com/ammwave.) Also, Keynesian spending really needs to be done by creditors, not debtors. After the First World War, debt and reparations had changed the patterns of the world’s creditor and debtor nations. Britain no longer had the financial strength and the United States at that time was hesitant to take up leadership. After the Hitler War the US propped up Europe and Japan with Marshall Plan money. In the 1980s Japan and West Germany resisted additional expansion because of worries about the inflationary impact of the American deficit. (Brian Easton, ammpol.wordpress.com/ammtce). And in this latest recession, China and Germany are the creditor nations who are reluctant to do Keynesian spending. You write:”A Green New Deal would mean that the government should borrow more money.” – No; government should CREATE more money – and restrict/terminate the private banks’ power to create the money they lend. -Don’t add further to the National Debt! – Pay it off! Note our policy, passed last year:EC665 (wrongly still entered on our policy website as EC666): Since these restrictions on bank lending will severely restrict the money supply, the Monetary Policy Committee of the Bank of England will be instructed to monitor the need for increase (or decrease) in the money supply, based initially on maintaining the amount of money existing at the time of implementation of these measures. Criteria will be developed in the light of experience, aiming to avoid both inflation and deflation. It will accordingly instruct the Bank of England to create any supplement needed, on a monthly basis, and credit it to the Treasury to be spent by the government on projects that help society and environment. If the occasion arises that a surplus is threatening to cause inflation, the Bank of England will receive back and cancel an appropriate amount of money. “This will both create demand in the economy by increasing manufacturing, and will ensure that any money borrowed is used to both decrease inequality and reduce carbon emissions.” – Yes; but we need to aim to DECREASE manufacturing and reduce inequality by promoting the Party’s policy of Citizens’ Incomes, to reduce the ‘NEED’ for ‘jobs’ – i.e. wage-slavery. “While the temptation exists to cheer on cuts as part of a long needed check on speculative capitalism, it must be resisted.” – On the contrary, ‘speculative capitalism’ is a major part of the problem. The Bank of International Settlements estimates the global total for derivatives at $1.1 Octillion … nearly twenty times the product of the planet. You’re right, Nikki, that is one area not really dealt with here. I’d suggest it’s perhaps a slightly different point, however. There’s a recession (or threat of recession at least) now, and stimulus is needed to get us out of that. In the longer term, though, there will still be a structural deficit and that should be filled with higher taxation, probably in large part on corporations, both banks and non banks. Excellent summary Peter but you didnae mention the T word. Infrastructure however Green, has to be paid for. Instead of the Cameron/Clegg approach of making the least able to afford it pay I would personally levy a 10 or even 20% tax on bank profits which would pay off the national debt in a year or two. Although they’d complain bitterly, the banks wouldn’t really notice the trivial loss in their long term income and if such an idea was agreed across the Gn nations, the banks would have no where to run and all national debts could be cleared. Then some progress might finally be possible on making poverty history and seriously investing in the Green, sustainable future which is so essential for the survival of the planet.